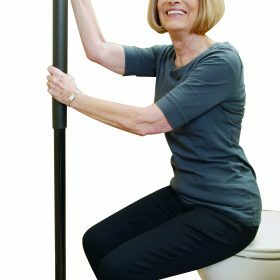 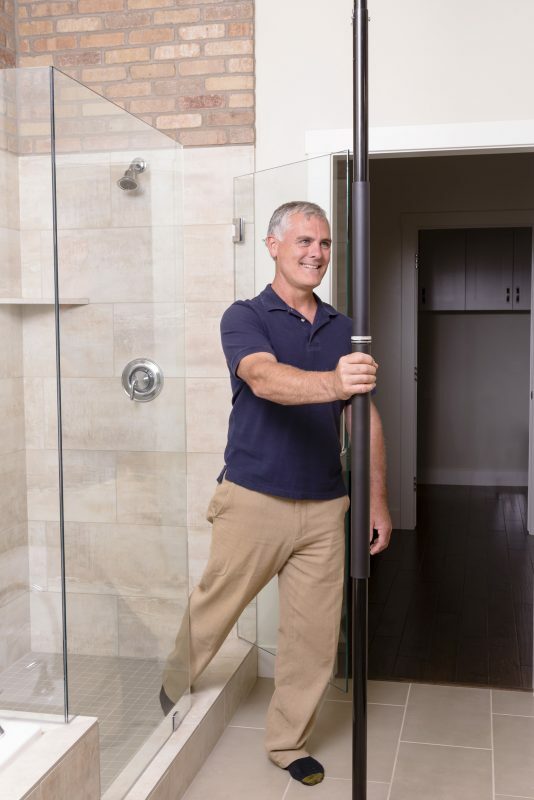 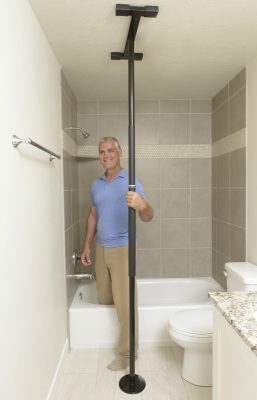 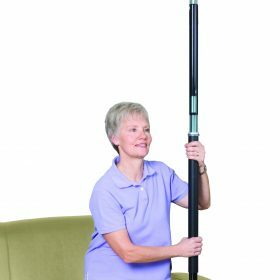 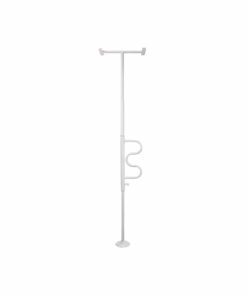 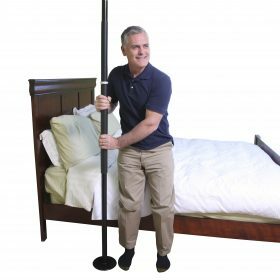 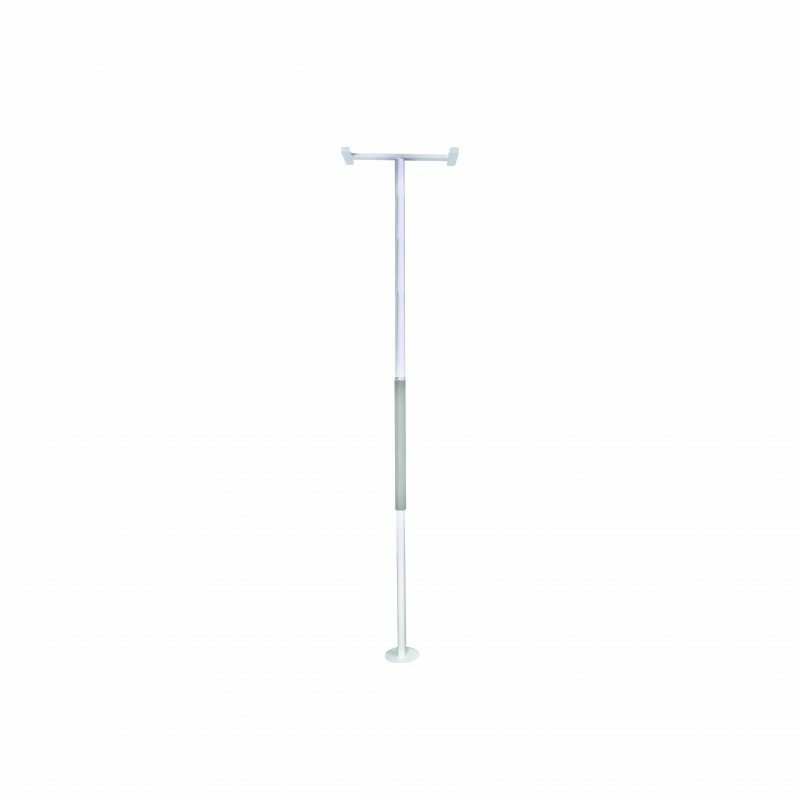 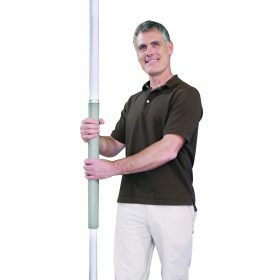 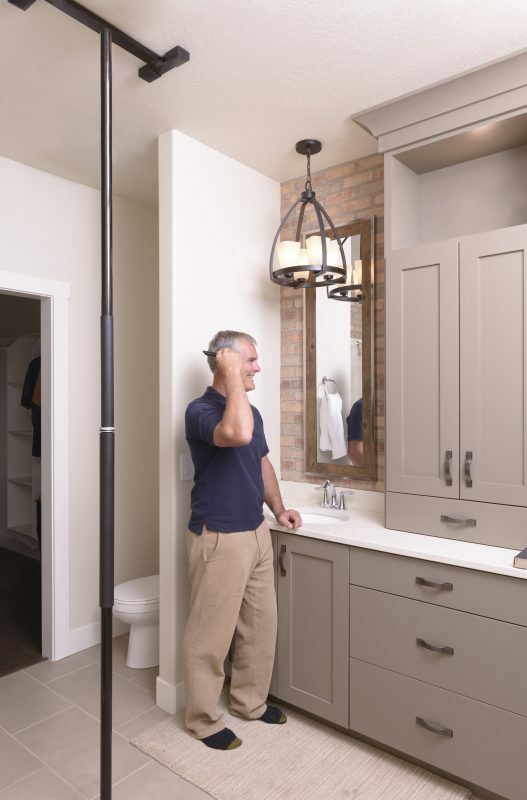 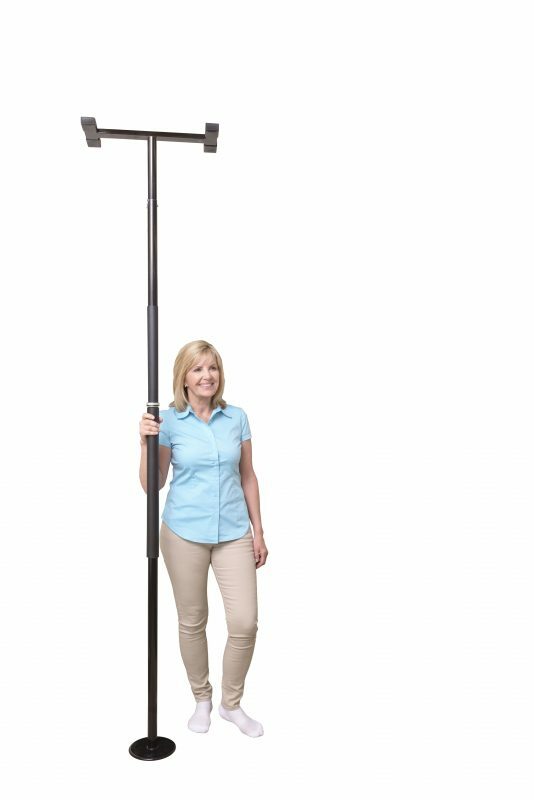 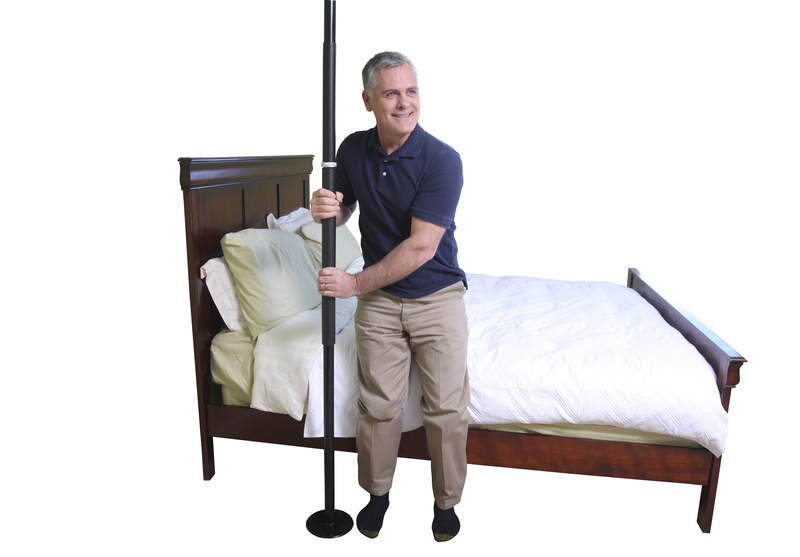 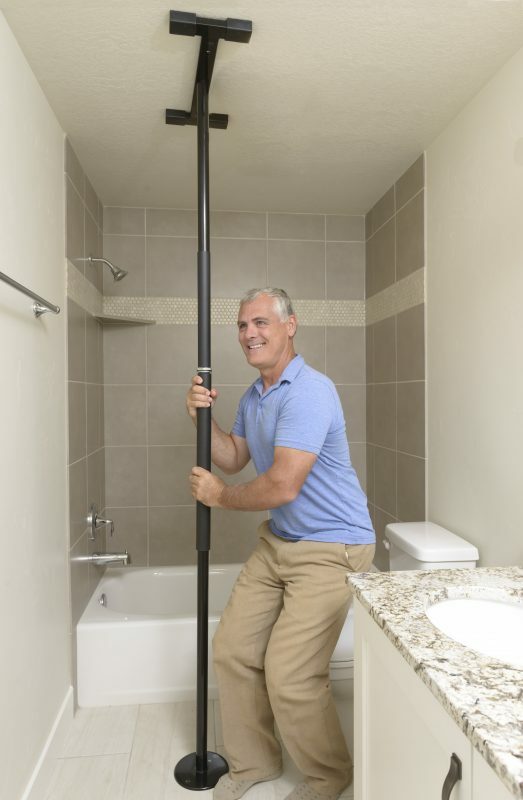 The Security Pole makes it easy to stand from a couch, bed, or toilet. 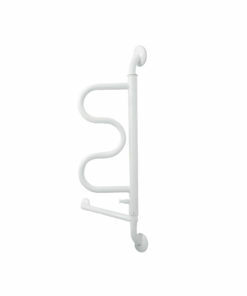 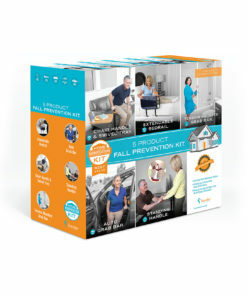 It’s tension mounted, so you can place it anywhere in the home without any screws or bolts. And like all our products, it blends in with look of your home to increase your independence without intruding on the comforting feeling of your home. 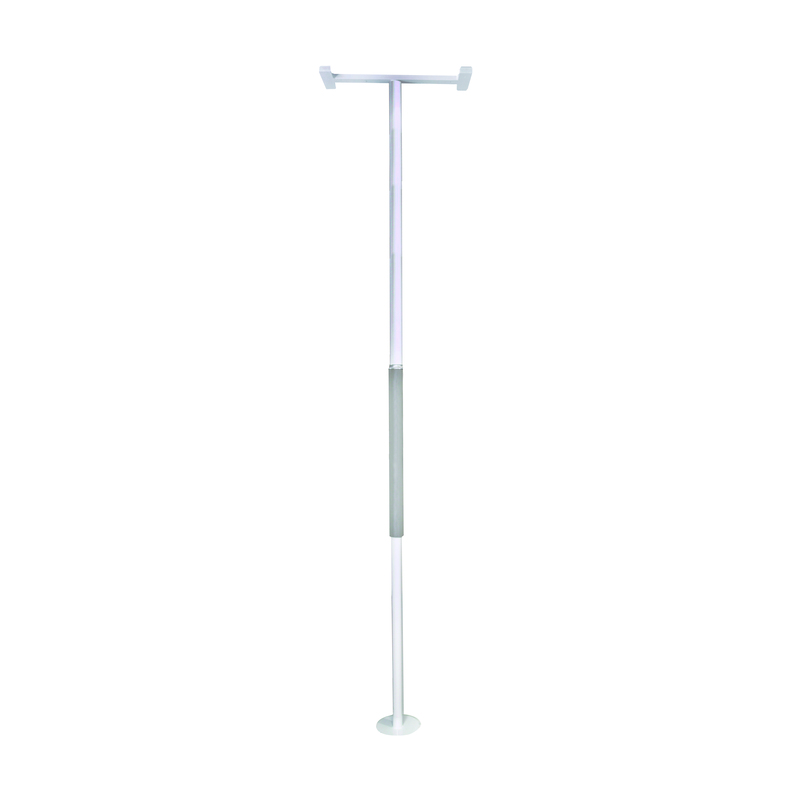 Materials: Rust resistand zinc plated steel with durable powder coat finish. 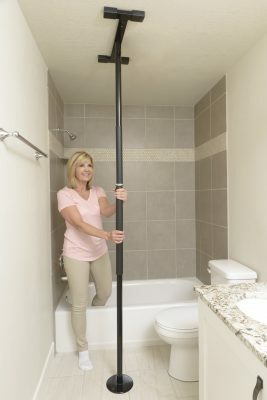 Fits Ceiling Heights: Range of 7-10′ ft.
Case of 2 Dimensions: 54″ L x 12.50″ W x 6.5″ H; 45 lbs. 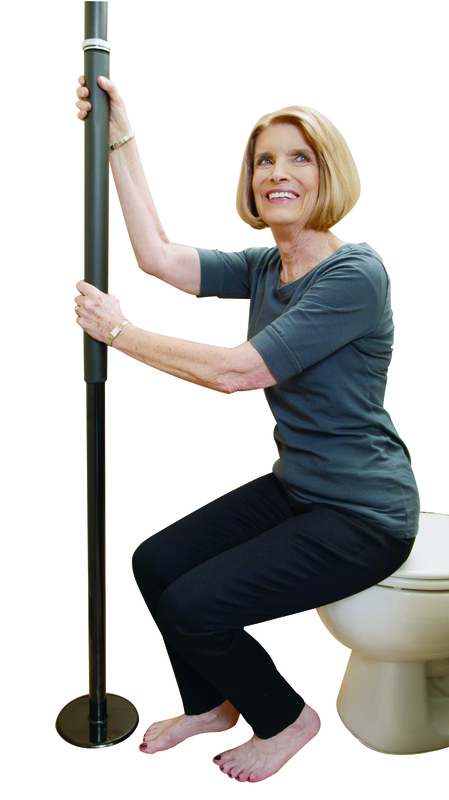 Comfortable Cushion Grip: Easy-to-sanitize closed cell foam proveds non-slilp surface. 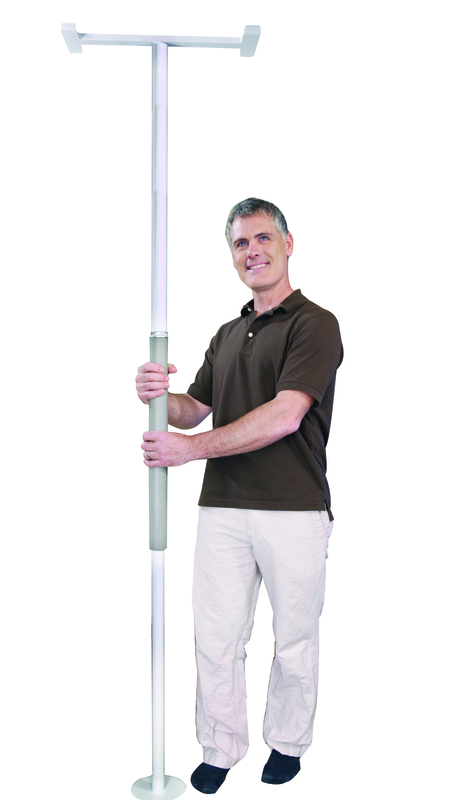 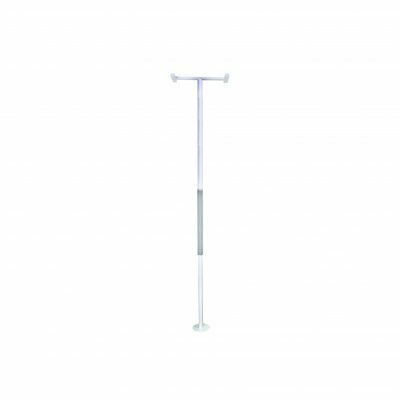 Portable: Main pole easily separates into tow 53″ pieces making it easy to transport. 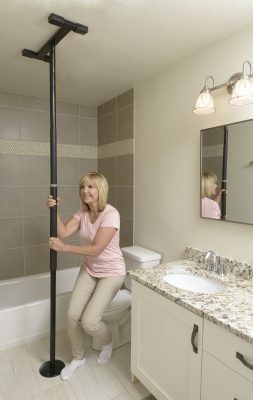 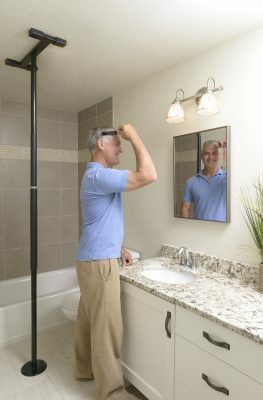 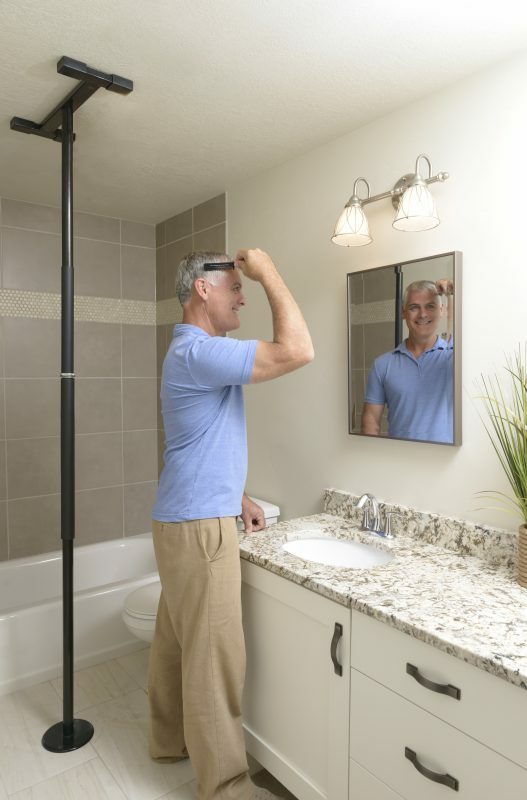 Adaptable: No need for wall mounts; can be installed in virtually any area of a room exactly where it is needed.